1. Suicide bomb, gunfight at Afghan bank, civilians inside. i. Taliban militants detonated a suicide bomb and stormed a bank in southern Afghanistan . ii. The attackers forced their way inside after the bomb exploded at the entrance of the Kabul Bank branch in Lashkar Gah killing at least six people, the capital of the insurgency-racked province of Helmand. iii. A Taliban spokesman claimed responsibility for the attack on Kabul Bank, an institution that nearly collapsed in 2010 in a $900 million fraud case that underlined endemic corruption in Afghanistan. 2. Lok Sabha passed NCT of Delhi Laws (Special Provisions) Amendment Bill, 2014.
i. The Lok Sabha passed the National Capital Territory (NCT) of Delhi Laws (Special Provisions) Amendment Bill, 2014. The bill was presented in Lok Sabha by the Union Urban Development Minister Venkaiah Naidu. ii. The Bill seeks to amend the National Capital Territory of Delhi Laws (Special Provisions) Second Act, 2011 as the deadlines provided under the 2011 Act expires on 31 December 2014.
iii. Thus, the bill seeks to extend the deadlines under the National Capital Territory of Delhi Laws (Special Provisions) Second Act, 2011 up to 31 December 2017. 3. Xu Youyu of China won Olof Palme Human Rights Prize for the year 2014.
i. Pro-democracy activist of China Xu Youyu won the Olof Palme Human Rights Prize for the year 2014.
ii. The award given annually by the Stockholm-based Olof Palme Memorial Fund of Sweden was announced on 16 December 2014.
iii. He received the award for his strong-principled work for democracy, social justice, human rights and freedom of speech which has universal meaning. iv. 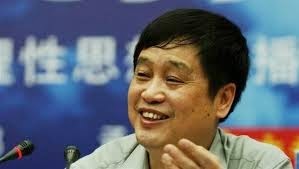 In 2008, he was one of the most evident signatories of Charta 08 manifesto that urged a series of reforms in China. i. Bollywood actress Jacqueline Fernandez and former Supreme Court judge KS Radhakrishnan have been given PETA India’s People of the Year award for their contribution towards the protection of animals. ii. The animal rights organisation named Ms. Fernandez as ‘Woman of the Year’ and justice (retd) Radhakrishnan as ‘Man of the Year’. iii. 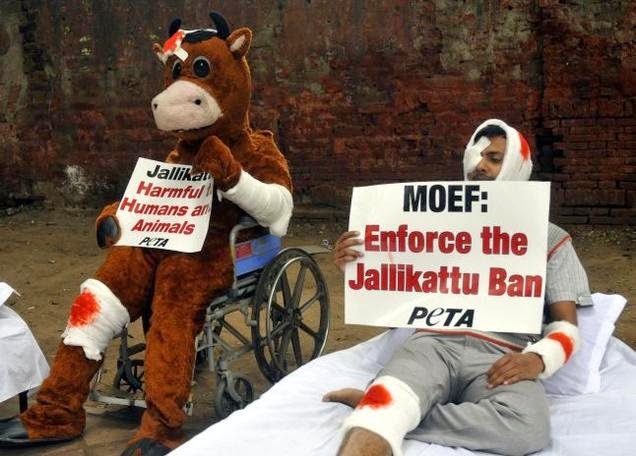 Justice Radhakrishnan headed a bench that passed a landmark judgement in favour of PETA India and the Animal Welfare Board of India, clarifying that bulls must not be used in jallikattu, bull races. i. 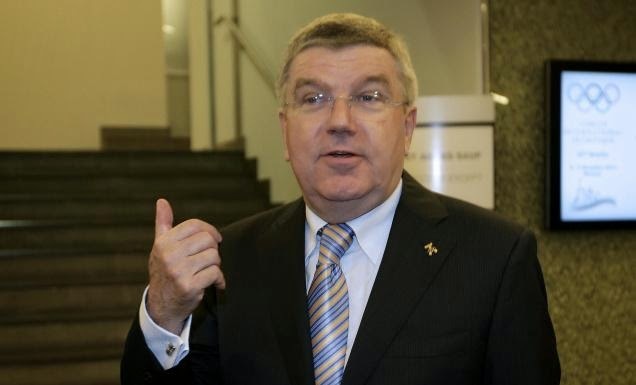 International Olympic Committee (IOA) President Thomas Bach has welcomed the U.S. decision to bid for the 2024 Games and says whichever city is chosen will be a “very strong” contender. ii. The U.S. Olympic Committee board voted on Tuesday in favour of a bid, but must still decide which city to put forward among four candidates Boston, Los Angeles, San Francisco and Washington. iii. The United States hasn’t hosted the Summer Olympics since the Atlanta Games in 1996. New York and Chicago ran failed bids for the 2012 and 2016 Games, respectively. i. Adani Group's Australian subsidiary today said it has signed an MOU with a South Korean steel giant for the construction of a new strategic terminal at Abbot Point coal port to export high-quality coal globally at competitive rates. ii. Terminal Zero (T0) will be constructed at the port of Abbot Point near Bowen town, Queensland, as per the Memorandum of Understanding inked between the company and Korea's POSCO. 7. Tata Steel chosen among 100 most valuable brands in 2014 .
ii. The Most Valuable Brands of the year 2014 (India edition) is a research endeavour to showcase and recognise brands that have established their presence and authority in the Indian market by virtue of their credibility and enormous customer loyalty. 8. India vs Australia, 2nd Test: Vijay ton puts India in driver's seat. 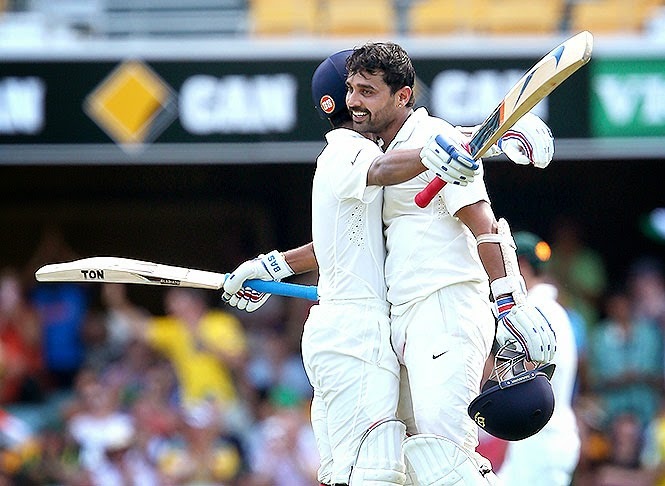 i. Murali Vijay scored 144 and shared a century stand with Ajinkya Rahane as India's batsmen dictated terms to an Australian attack that fell short of expectations Wednesday on the opening day of the second test. ii. Four days after losing eight wickets in the final session of a 48-run defeat in Adelaide, India dominated on day one in Brisbane to reach 311-4 at stumps. Message - Terrorism has no religion,no creed,no language it could only and collectively described by the word i.e. SIN , No Quran no Bible no Geeta make u a terrorist, It's just a failure of a section of human race which is on a wrong track and sabotaging their brothers repeatedly and traumatizing them. God have given us a precious gift of life, we should use it constructively as destruction can lead all of us to a never lit black hole.